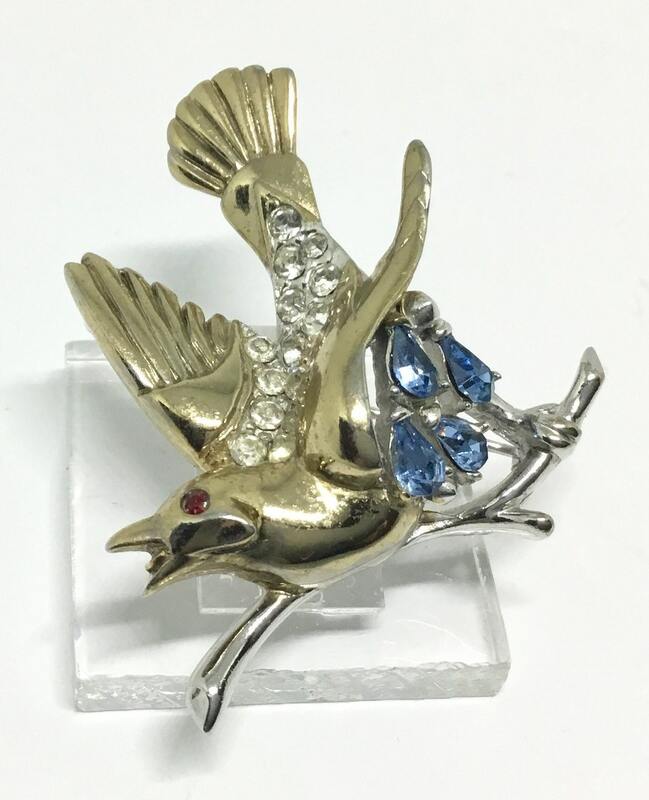 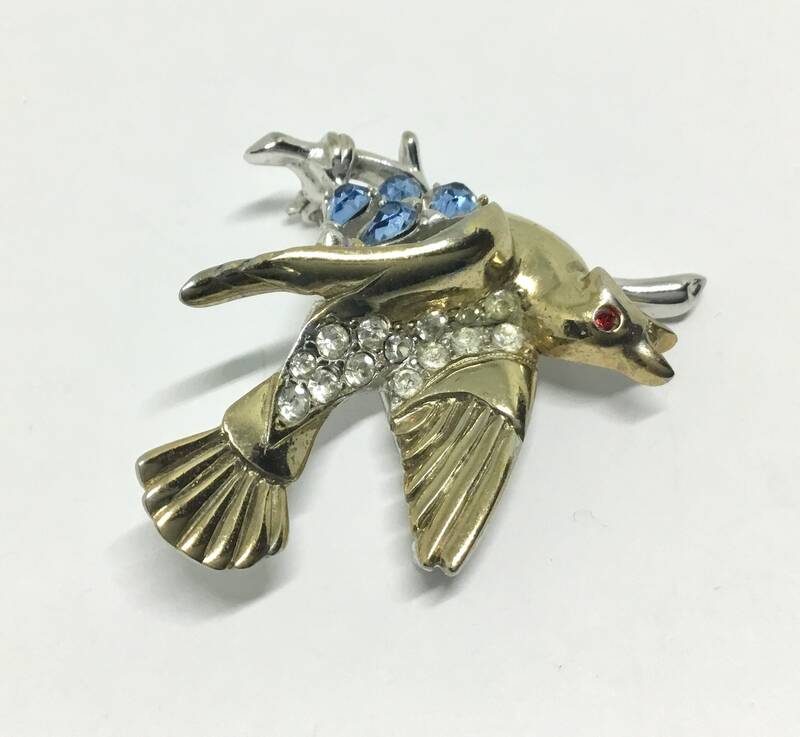 This is a sweet vintage rhinestone bird brooch. 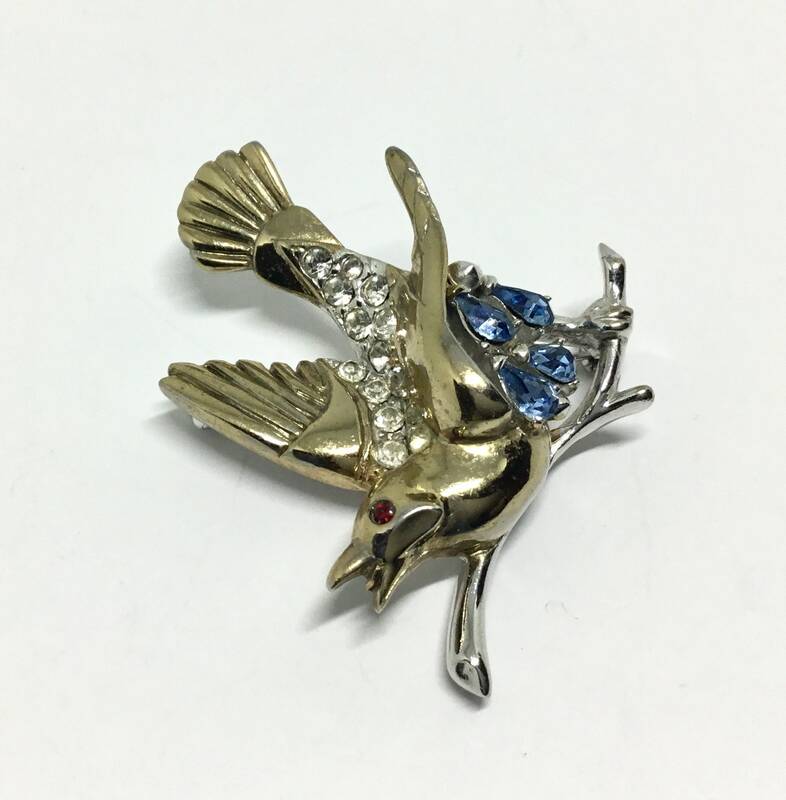 The body is a glossy goldtone with clear rhinestones on the back. 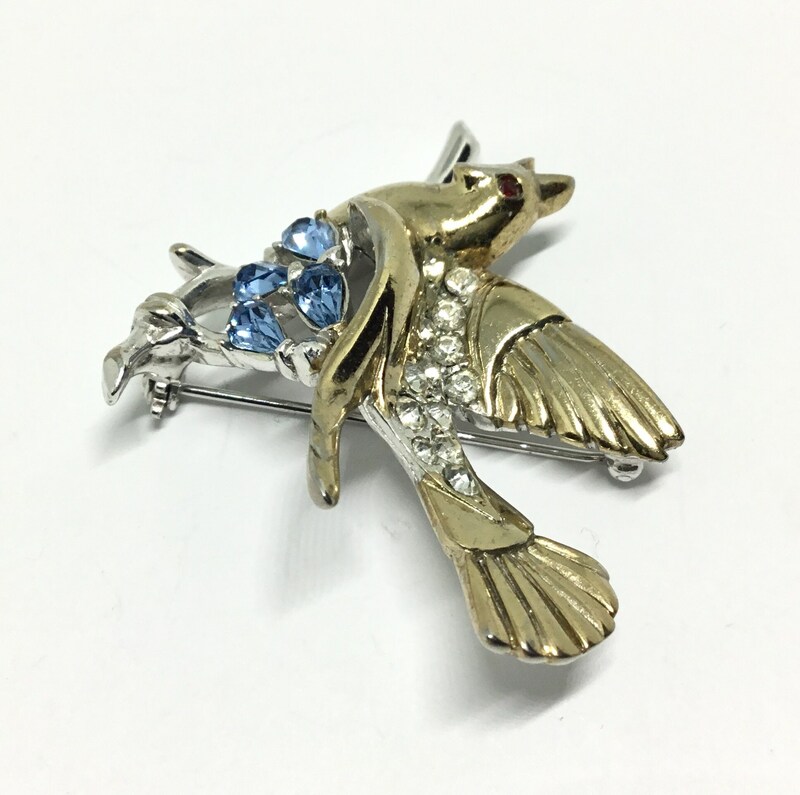 Under the lower wing are four light blue rhinestones. 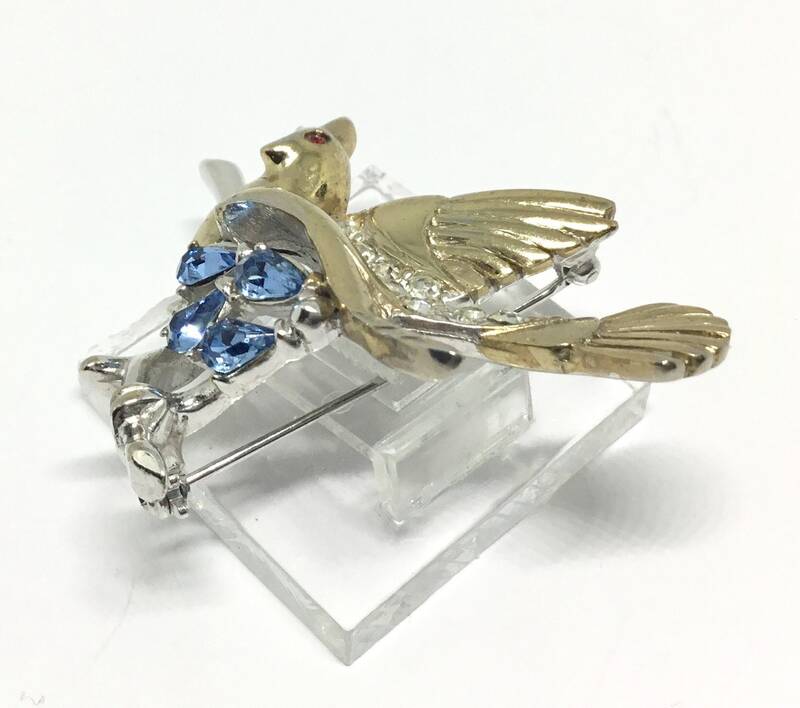 The bird is sitting on a silvertone branch which is also the color of the setting as seen on the back like a rhodium plating. 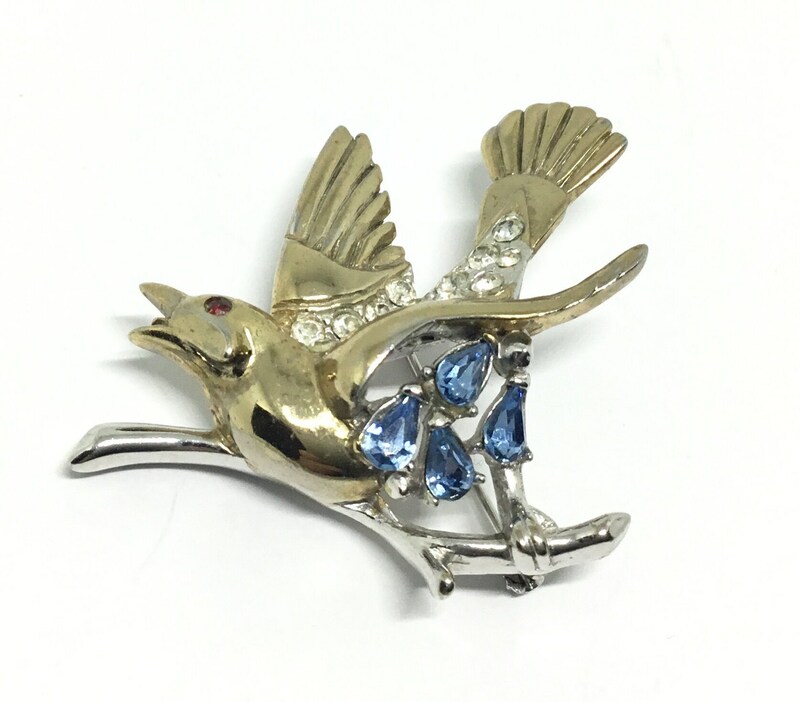 The bird has a red rhinestone eye and his mouth is open for a song. 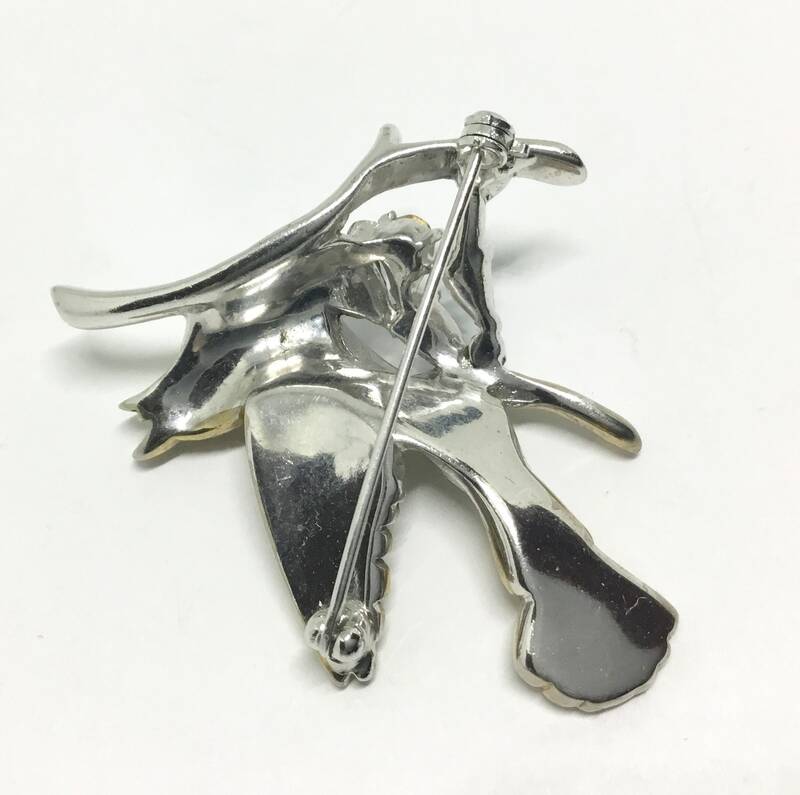 It measures 1 3/4” x 1 5/8” and the pinback is straight and works smoothly and securely. 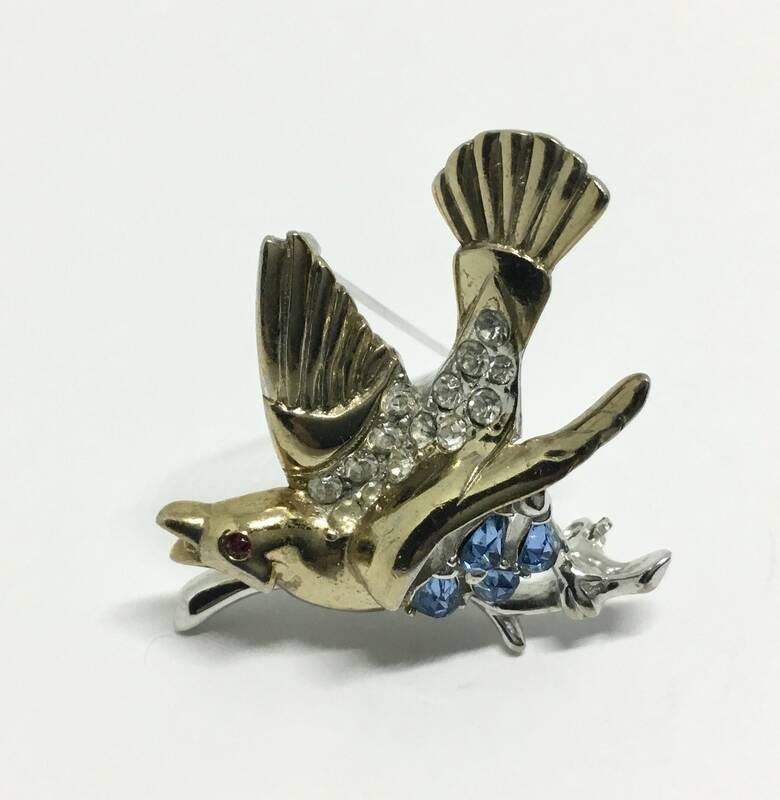 This is a delightful vintage bird that will look great on a sweater, lapel, jacket, or hat! 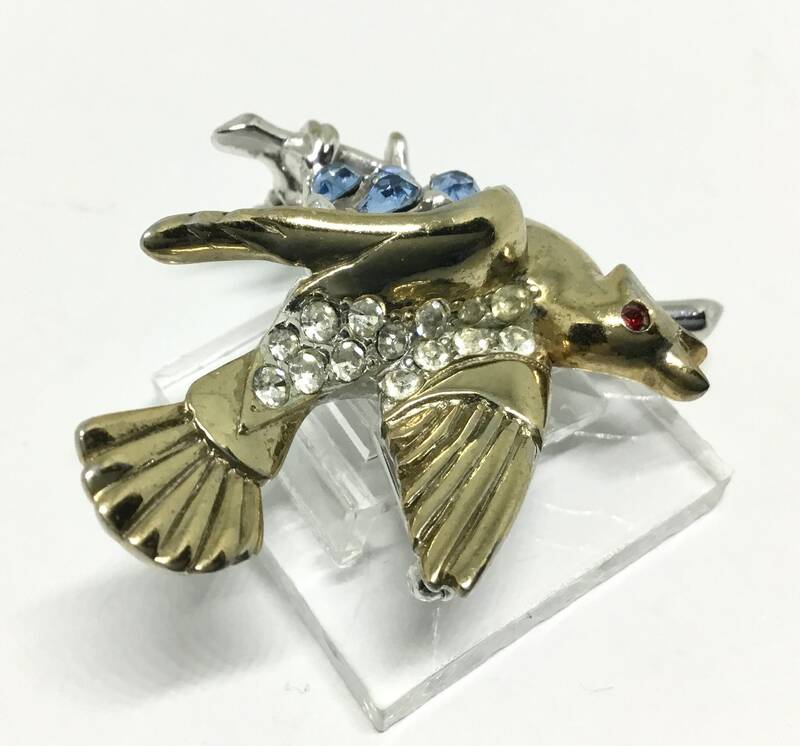 The rhinestones will give it that something extra!